In today’s market many companies continue to find ways to stay profitable and still grow, but control costs. This is a big contributor to the idea of one person with many hats. More often than not when a new task is added to the workload a new position isn’t created instead it is added to the daily list of managers, supervisors, team leaders, and the supporting team. All that this means is that most employees, at any level, have a full day of work ahead of them when they get into work. In the event companies are hiring for a position, you should have this understanding of how some workplaces may be before entering for the interview. You should understand that several employees have taken anywhere from 30-60 minutes out of their schedule to meet with you and give you an opportunity to join their team. This amount time is extremely valuable in today’s workplace. This time given to an interviewee can mean skipping a lunch, missing another team meeting, pushing back their daily schedule, missing a child’s sporting event, or even just sitting longer in traffic. For these reasons a thank you letter for time given on an interview shows the company that you understood and are grateful for the time and opportunity given regardless of the outcome. This letter shows that you as a person respect other peoples’ time and schedules and would be a valuable employee if given the chance. Sending the thank you is common practice and etiquette, but it is also a good way to get your name out there one last time and make a final impression. You don’t have to say a ton, but say something and show your appreciation for them taking time to meet with you. I strongly believe in sending a thank you note after an interview, but I have never taken the scenarios described in this blog post into consideration when sending my note. Yes, in my note I always thank the interviewer for their time, however the true motivations behind sending my thank you note is a) to show that I am following up after the interview; b) to keep my name and the memory of the interview in the forefront of the interviewer’s mind; and c) to express my genuine interest in being hired for the position. Honestly, what the interviewer might have missed out on, been late for, or sacrificed due to the additional responsibilities that may have been assigned to them as part of their job has never really crossed my mind. I don’t have any interview experience yet, I’m still in school, but I’d like some help with what kind of thank you would be best. 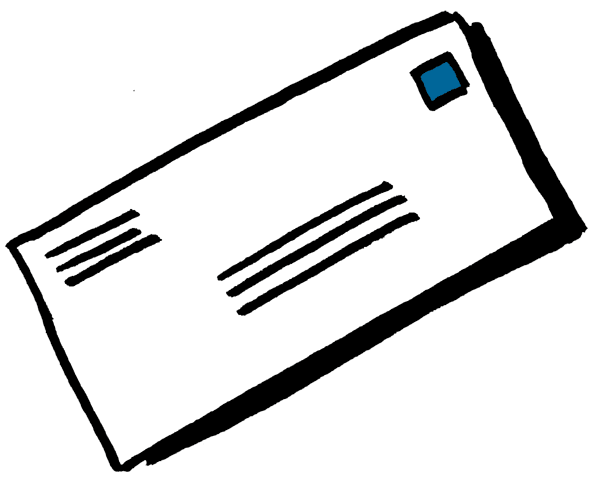 Should I mail a card, or a letter, or should I email the person who interviewed me? I’ll be looking for some comments. Thanks. Not only is writing a personal thank you letter the right thing to do, but it’s quite possible that the company is undecided as to whom may be the best candidate. Having shown respect and appreciation by corresponding to the interviewer may indeed break a tie and have the posititon be awarded to the one who took the time to write the note. It couldn’t hurt! I make sure to send a thank you – either digital or handwritten – within 24 hours of an interview. It is a mistake not to. This is where you finalize your impression to the employer. When I was going on interviews I always made a point of sending a Thank You to the individual I was interviewing with. Besides showing that you appreciate their time, it’s also a way to remind them of your name and interest in the job. Here is a big reminder – don’t forget to use spellcheck! You don’ want to go through the effort of writing a thank you and then have tons of typos in there. You want it to make a good impression, not to showcase any potential flaws that might turn them away from you. I have college aged kids who will be graduating soon, and I have always told them they MUST write a thank you note after EVERY interview and always continue to follow-up thereafter! I don’t know if a letter would take up more of the interviewer’s time to access & read than a formal email would. I’d email rather than snail mail for sure. A few sentences in a note should suffice. You say thank you for the time, highlight a good moment from the interview, and close. with offering to come in for a follow-up meeting. I’ve always sent a thank you letter/email after an interview but never thought of it from that perspective. Nice point. This is sound advice. It is not something that is often thought of by applicants. I never really thought much about the time an employee has to take out of their day for an interview – until I was in the position of interviewing candidates for jobs in my department. It really is very time consuming! A lot of prep goes into it and work after the interview, not just the time sitting with the applicant. It really is appreciated to get a thank you. A Thank you card or note, nothing too wordy, telling the interviewer how much you appreciated they took time out of their busy schedule to interview you is a very professional way of maybe even helping to keep your name on the interviewers mind and could even keep your application at the top of the pile. I believe it is absolutely crucial to send a thank you after interviewing for a job. You do not get many opportunities to make an impression on the employer and you could be one of ten people they interviewed just that day. If you send them a thank you it will help them to remember you which can only help in the hiring process. 100% you should send a thank you. This isn’t even a question for me. I once applied for a job which I luckily got and my boss told me it was the thank you I sent that really set me apart from the competition. I agree with this article entirely. So nice of you to point out the behind-the-scenes reality of interviewers. Many applicants are so nervous so they stall or they get entitled and forget that this is an opportunity that I’m giving them. Just come in, introduce yourself, and move along. A thank you always stands out because the reality is we rarely get thanked. I always make sure to send my thank you the evening of the interview, or at the latest – the following morning. It isn’t something to skip in the interview process and make sure to get the business card of the person who interviewed you so you have the appropriate contact information. I have read numerous articles on this topic and interview etiquette. It amazes me that this is something people don’t automatically know to do. I always preferred sending a handwritten thank you, but if time is of the essence then you should at the very least send an e-mail. One or the other are a must. Sending thank you cards is such a lost art. If there is one place where you really want to make sure to send a thank you it is after your job interview. If you want to give yourself an extra boost with the interviewer this is surely the way to do it. I make sure to send the thank you at night and put lots of thought into it. Last chance to make an impression! I just went on a few interviews and I sent the thank yous by e-mail. I actually got responses from two of the companies recognizing my e-mail and saying how they don’t often see that. They appreciated it and let me know. Definitely a good sign! Sending Thank Yous really are important. You’ll stand-out as polite and put-together. People fear looking needy. You won’t. It is a lost art sending a handwritten letter or thank you. I actually enjoy when I can send one. For a job interview it is possibly the most important one you will write.